Scotland were unable to bounce back from their defeat to Israel as they were beaten 3-1 at home by Portugal in a friendly on Sunday. Wolves winger Helder Costa scored on his debut to give a much-changed Portugal the lead shortly before half-time. Eder made it 2-0 in the 74th minute and Bruma added a third late in the game as Scotland, who suffered a dispiriting 2-1 defeat against Israel in the UEFA Nations League on Thursday, slumped to their fifth loss in their last six matches. Steven Naismith scored an injury-time consolation effort but Alex McLeish will be hoping his side can show more cutting edge when they return to competitive action in November. Scotland came in for criticism after their defeat to Israel, with captain Andy Robertson saying his own performance was "not good enough". McLeish said he was looking for a response and Scotland made an encouraging start against Portugal as they enjoyed more of the possession and pushed back the visitors, who made 10 changes from their last match. However, the home side struggled to create chances, with Beto only forced into action to tip over a header from his team-mate Sergio Oliveira. Portugal took time to settle into the game but went close in the 27th minute when Bruma fired wide from inside the box. Naismith headed across goal and wide of the far post at the other end before Bruma again missed the target and Eder shot at Craig Gordon after turning in the box. Scotland made six changes from their defeat to Israel, with Gordon in goal and McKenna and Hendry forming the central defensive partnership. Armstrong, Forrest and McBurnie also started. Portugal made 10 changes from their UEFA Nations League win over Poland, with Wolves' Costa making his debut. The deadlock was broken in the 43rd minute when Kevin Rodrigues' low cross was turned in by Costa. Scotland had a chance to reply early in the second half when Scott McKenna headed wide from a corner, but otherwise the hosts rarely troubled Portugal, who extended their advantage in the 74th minute as Eder headed in from Renato Sanches' free-kick. Bruma then finished to make it 3-0 before Naismith scored a consolation goal in injury-time. After going seven games without defeat between March and October 2017 (W4 D3), Scotland have since lost seven of their last nine games in all competitions (W2). Portugal have won each of their last three internationals, as many as they had in their previous 11 games before this run (D6 L2). Scotland are winless in their last six games against Portugal in all competitions (D2 L4), scoring just two goals in total across these meetings. Scotland have kept a clean sheet in just two of their eight games since Alex McLeish returned as manager (13 goals conceded in total). Steven Naismith has scored in each of his last two appearances for Scotland at Hampden Park, having also netted against Albania last month. Helder Costa's opener was his first goal for Portugal, on what was his first senior appearance for the national team. The RB Leipzig winger got into some good positions in the first half and probably should have scored when he fired wide from the penalty spot. He was rewarded for his encouraging display with a fine finish late in the game. 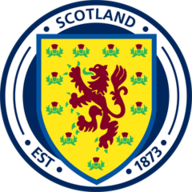 Scotland travel to Albania in the UEFA Nations League on Saturday, November 17 before hosting Israel on Tuesday, November 20. Both games are live on Sky Sports. 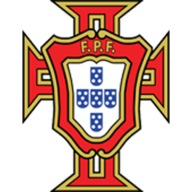 Portugal travel to Italy on November 17 before a home game against Poland on November 20.